This is a stunning and very full 4" - 6" long Coque Tail trim that is available in 4 beautiful colors. This trim is sold in 1 yard lengths and is made from genuine rooster tail feathers that have been stripped and sewn to a top binding. 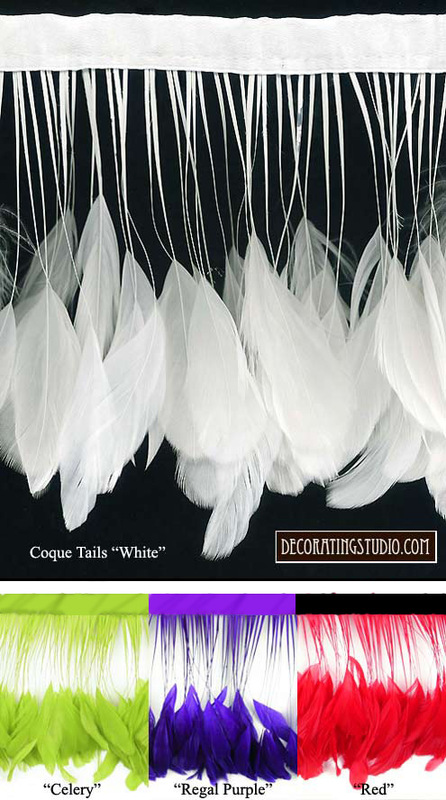 Colors available are: white coque tail feathers, celery coque tail feathers, regal purple coque tail feathers and red coque tail feathers.